Regular filter replacements help maintain the efficiency of your heating and cooling equipment. 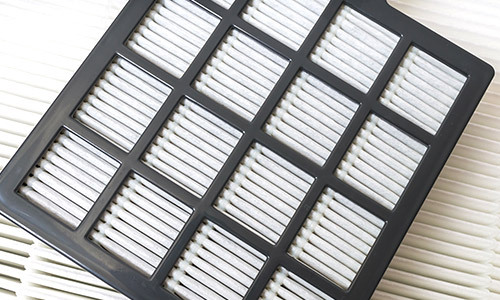 A regularly replaced air filter will also improve airflow, increase heating and cooling performance and cause less stress or wear and tear on the system. It is important to replace your filters regularly to keep your home free from dust, pollen and other contaminants. Where is my filter located? Different system may have different filter locations. The first place to look is at the indoor equipment. The filter door is generally located on the return duct side of the furnace or fan coil. On some older systems the filter may be located in the furnace or fan coil cabinet in the blower compartment. If you are having trouble locating your filter or think you may not have a filter installed please call Lamco and we can walk through it with you. How do I know if my system is working properly? Is it making strange noises? Is it cooling or heating all areas of your home sufficiently and evenly? Has it been taking longer to cool or heat the space? Have your utility bills been rising for no apparent reason? Any of these are signs that you may have a problem that needs service. How often should I have my systems serviced? What is the proper humidity level? It is important to maintain proper levels of humidity in the home. Too much humidity in the home and condensate can build up on the windows and mold and allergens can thrive. Too little humidity and you may experience dry skin or a sore throat. Also to little humidity can cause static electricity damaging electronics. The ideal level of humidity is between 35 and 45%. Another benefit of ideal levels of humidity is comfort and energy saving, you feel warmer so you may be able to set the thermostat to a lower temperature saving energy. SEER– Seasonal Energy Efficiency Ratio- the SEER rating of a unit is the cooling output during a typical cooling-season divided by the total electric energy input during the same period. The higher the unit’s SEER rating the more energy efficient it is and will cost you less every time you turn the system on. Since 2006 the government mandated minimum SEER is 13 in the Northeast region of the country. Currently systems range in Seer from 13 up to 33. EER-Energy Efficiency Ratio- EER is a measure of the efficiency of a heating or cooling system, as a heat pump or air conditioner, equal to the ratio of the output in B.T.U./hour to the input in watts. The difference between SEER and EER rating is the EER is the measured efficiency at peak load and Seer is over a cooling season. HSPF– Heating Season Performance Factor- Similar to SEER, it is a measurement of efficiency of the heating portion of a heat pump. HSPF ratings range from 6.8 to 13; high-efficiency units have efficiencies of 8.5 HSPF or above. AFUE– Annual Fuel Utilization Efficiency- A measurement of the percent of heat produced by a furnace for every dollar of fuel consumed. The higher the AFUE rating, the lower the fuel costs. All furnaces manufactured today must meet at least 78%. Efficiencies above 90% now are considered High efficient. Current systems are achieving AFUE ratings of up to 98%. Can I get central cooling if my house doesn’t have ductwork? The answer is yes. Lamco has a few different solutions to get central cooling. A free consultation with a Comfort specialist can help you determine what the right approach is for you and your home. No, and it may be worse for you than an undersized system. An oversized system to start is more costly to purchase than the properly sized smaller system and it will use more energy during operation. A larger than required unit will also have frequent on and off cycles because it is heating or cooling the space too quickly. This frequent cycling causes a lot of wear and tear on equipment and will reduce the lifespan of the equipment and inconsistent temperatures in the space. Properly sizing your system is critical to will require some careful calculations from your Comfort specialist. What are the potential dangers of operating your heating system with a cracked heat exchanger? A crack in the heat exchanger allows carbon monoxide to escape into your home. You may experience dizziness, flu-like symptoms, or even death by asphyxiation. Carbon monoxide limits the body’s ability to take in oxygen. This is an extremely dangerous situation to have in the home, because the effects of carbon monoxide poisoning may be gradual and undetected. What is two stage and Modulating equipment? 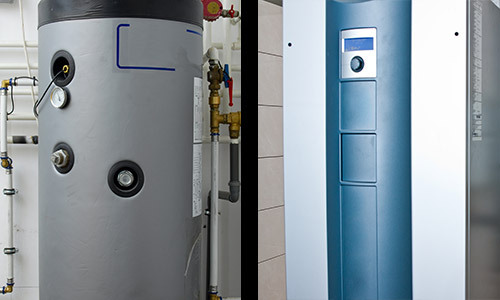 Two-stage heating means a furnace has two levels of heat output: high for really cold winter days and low for milder days. Two-stage furnaces start in the first stage, instead of reaching full capacity all at once. That means there is no sudden blast of air. You will find that low stage heating will keep the home comfortable most of the time while allowing the unit to run for longer periods and provide more even distribution of heated air. Because the furnace operates mostly in its lower-capacity first stage, it burns less fuel than a furnace that always runs at full capacity and then has to shut off when the heating demand has been met. Can I plant shrubs or flowers near my condenser? The answer is yes but you need to keep in mind that the AC unit needs to breathe. Maintain some distance from the unit and avoid invasive plants or ground cover that will grow into the unit.